Congratulations, you are now subscribed to our IELTS newsletter. You will receive the first email in a few minutes. You can unsubscribe whenever you want by clicking the “unsubscribe” link at the bottom of each newsletter. 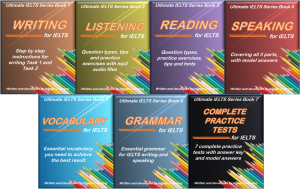 IELTS ebook (800 pages) + 7 practice exams + audio files to keep forever.